- Thursday&apos;s IMPACT will feature the final countdown to Sunday&apos;s "Bound For Glory" epic event! With just days before the PPV, what will happen on this can&apos;t-miss broadcast? Plus, what does TNA President Dixie Carter have planned for the roster? - IMPACT will feature the official contract signing between World Heavyweight Champion Bully Ray and challenger AJ Styles for their main event match at Bound For Glory! However, what is AJ&apos;s physical condition after the brutal attack by Bully Ray with a steel chain this past Thursday night? AJ claims nothing will prevent him from competing in the main event at BFG. However, sources say that TNA President Dixie Carter has a plan to to truly test AJ&apos;s determination and resolve! What does Dixie have planned for Styles on Thursday night? Don&apos;t miss it! 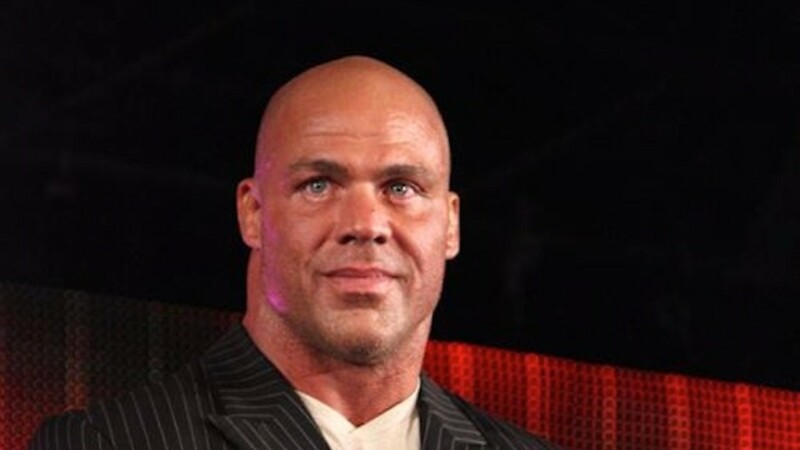 - Olympic Gold Medalist Kurt Angle made his surprise return this past week, ruining EGO&apos;s "Hall Of Fame" mockery! On Thursday, we will hear from Kurt Angle for the first time! What will he have to say about his return match at Bound For Glory against Bobby Roode, as well as his upcoming Hall Of Fame introduction at BFG? - Also scheduled for Thursday: A preview of the Ultimate X Match at "Bound For Glory" as Chris Sabin battles "The Samoan Submission Machine" Samoa Joe in singles action! - In addition, in a preview of the BFG Preshow Tag Team Gauntlet, this Thursday it will be Eric Young vs. Christopher Daniels vs. Hernandez vs. Robbie E! Whoever gets the first pinball or submission earns the advantage in the Preshow Gauntlet match, with the winners getting a shot at the Tag Team Championship later that night! - One-half of the World Tag Team Champions - Gunner - will battle Knux from the Aces and Eights! Plus, more news and updates on TNA&apos;s biggest event of the year! Don&apos;t miss Thursday&apos;s IMPACT on SpikeTV as the face of "Bound For Glory" could change in one night! - If you want to check out the spoilers for this week&apos;s episode, click here. - Join us for our live play-by-play coverage of Impact Wrestling right here on WrestlingNewsWorld.com starting at 8:30PM EDT! We will have our live watch party in full force so come on by and join the wrestling discussion! - Make sure you check out TNANews.com for all of the latest Bound for Glory analysis and hype articles! Don&apos;t miss #TNATalk on the site where I will be answering your questions. To send a question, click here.